The latest in an occasional series… Kınalıada this time. It’s a tiny island off the coast from Istanbul. 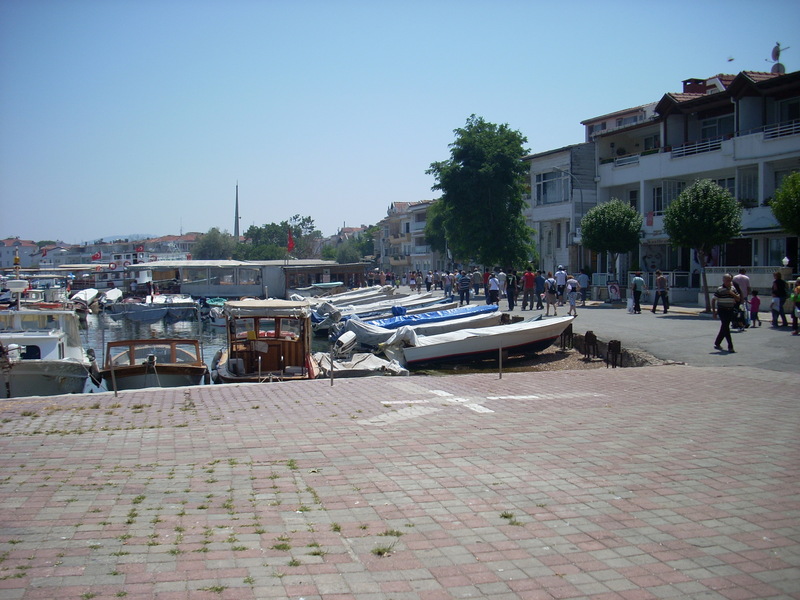 It’s one of the Princes’ Islands – less visited than some of the larger ones such as Büyükada. You take the ferry from the city to get there – 30-45 minutes depending on which one you take, and assuming you prefer an old style trip rather than the faster, more expensive high speed ferry. 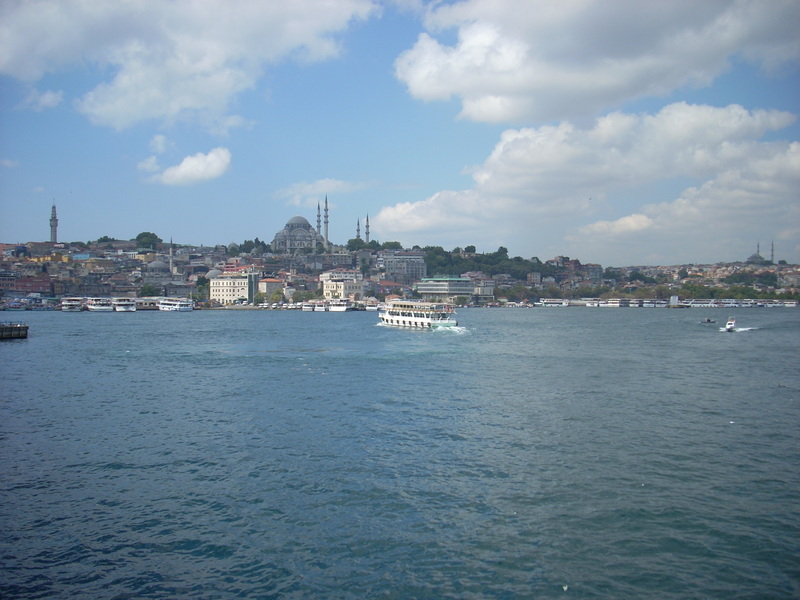 Most people get on at the Eminōnü pier close to Sirkeci railway station and the Galata Bridge. 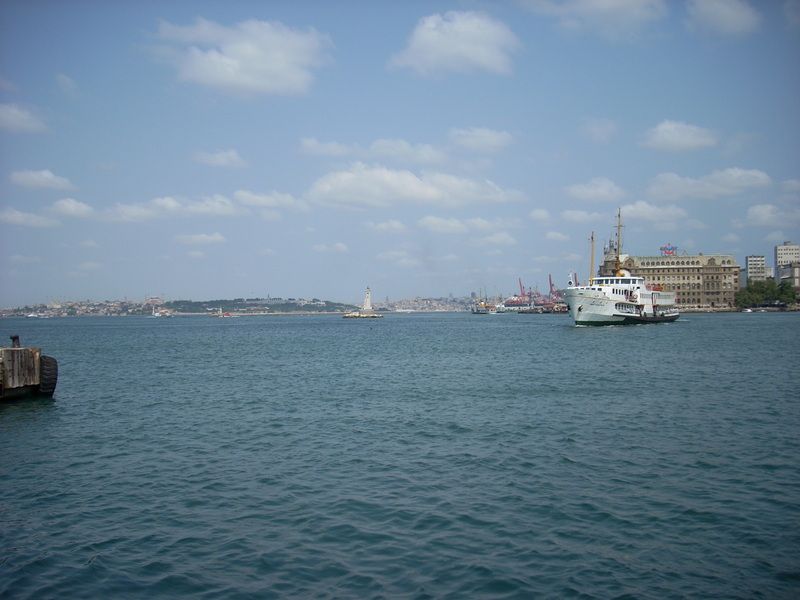 That’s on the European side, where the Sea of Marmara, the Golden Horn and the Bosphorus intersect. Nice. It usually stops at on the Asian side at Kadıköy. Then off into the open sea. The island is just a spot for locals to have a summer house/apartment, or to visit the beach for the day and escape the city heat for a while. It has no hotels. It has no banks – so no ATM. You jump on the ferry back to the city when you need some cash. It has no private cars – just a taxi, and a handful of municipal service vehicles (police and so on). You walk or cycle everywhere. The drinking water arrives by horse and cart. I was privileged to stay with friends when I was there. A favourite memory is of going over to the city one Saturday night in August to see Fenerbahçe play football. A great experience in itself (we had a riot when the ref sent off a home player), but special to be heading “home” after the game on a midnight ferry back to the island. This entry was posted in Kınalıada, special places. Bookmark the permalink.